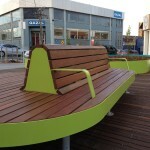 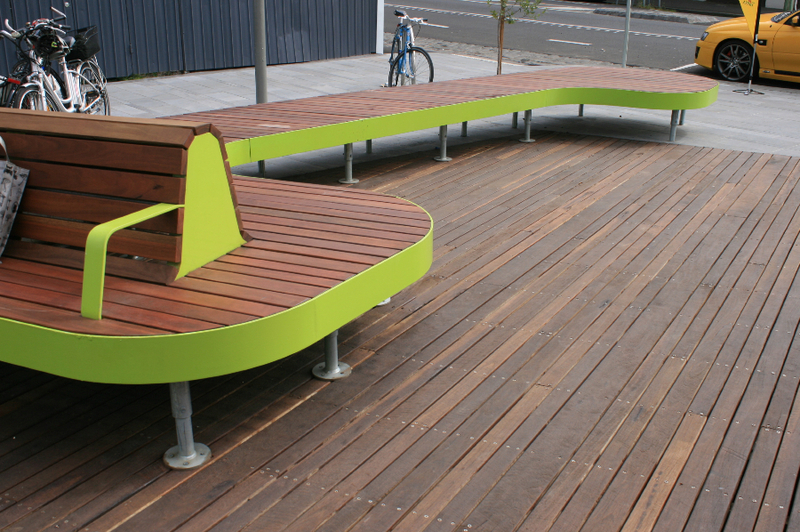 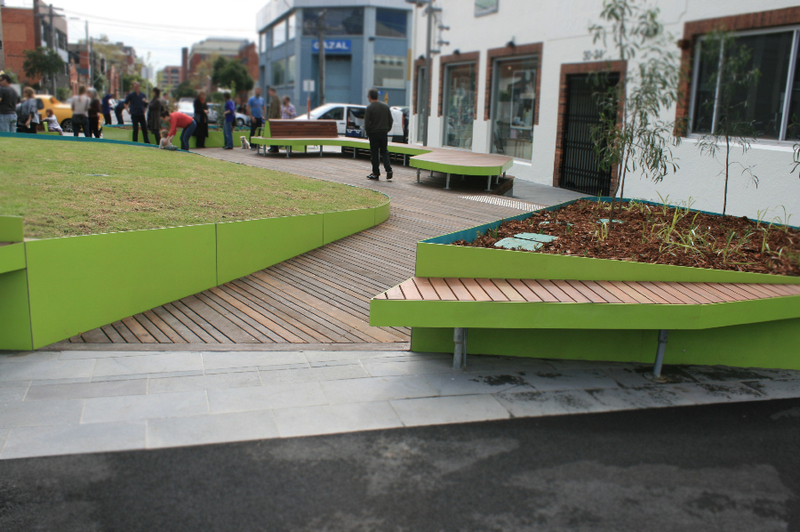 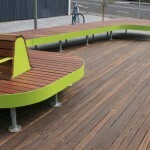 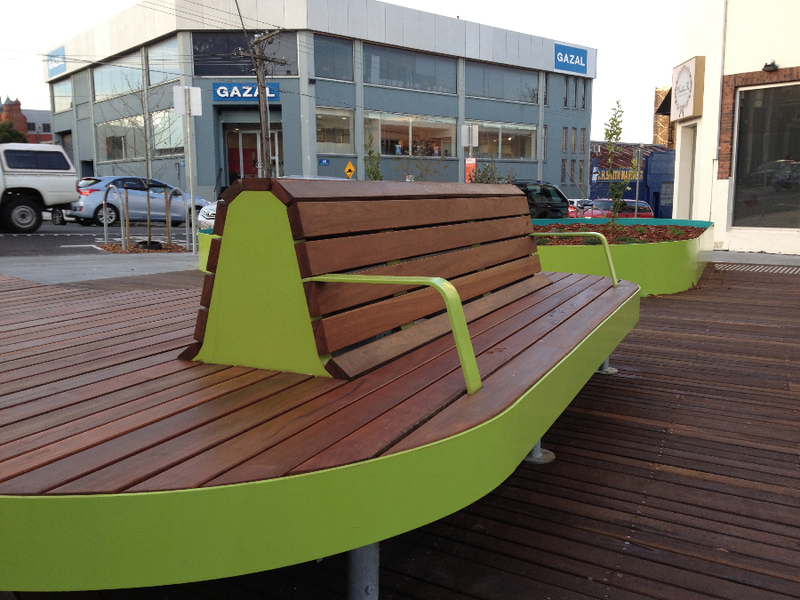 Urban Initiatives and our consultant team were engaged to undertake the detailed design and documentation for this small urban park in Oxford Street, Collingwood. 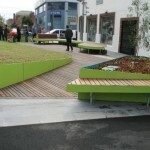 The completed design built on the existing Council endorsed Concept Plan for the site. 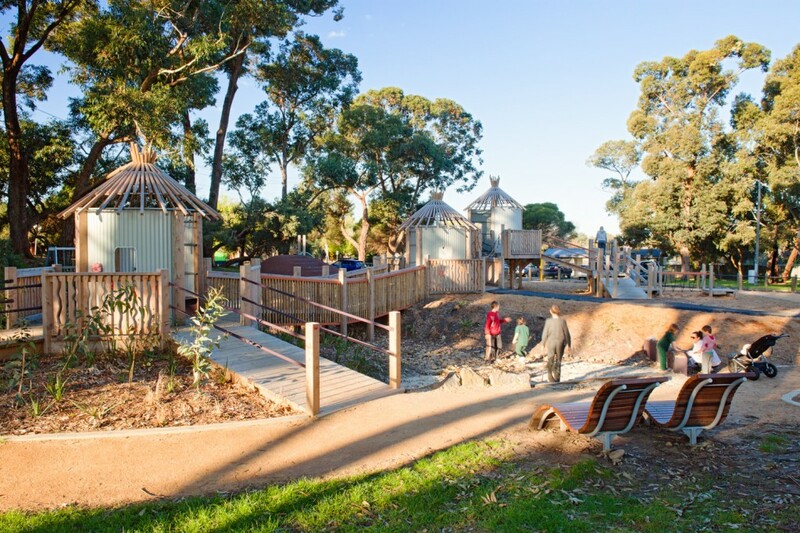 This commission required the resolution of a range of issues related to site levels, flooding, access and safety and the impact of the park on adjacent properties. 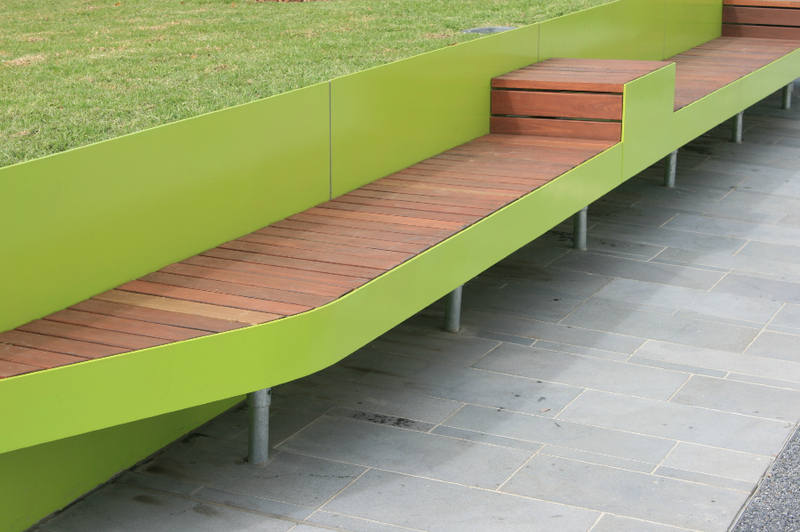 Although small, the park is distinguished by careful detailing of the elevated landscape areas, the bold steel retaining walls, timber deck, stone pavements and customised seating. 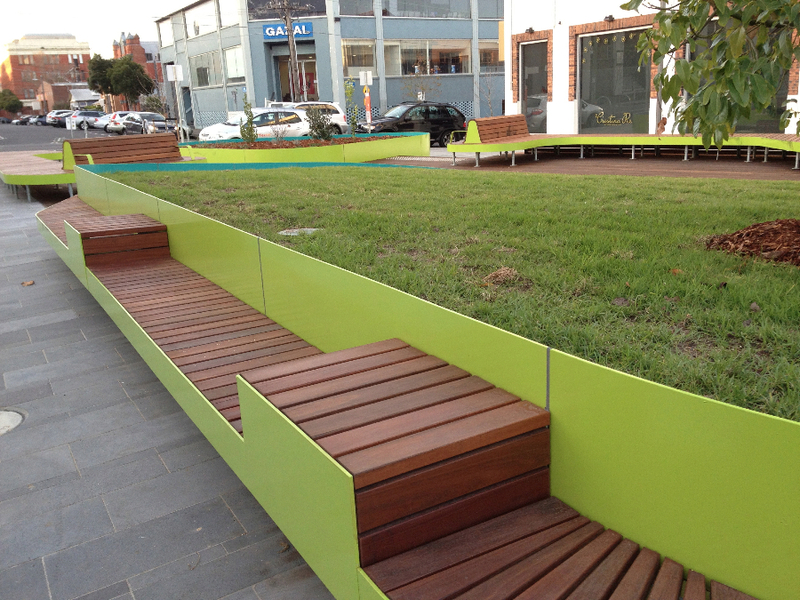 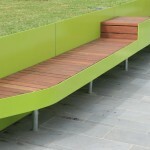 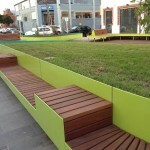 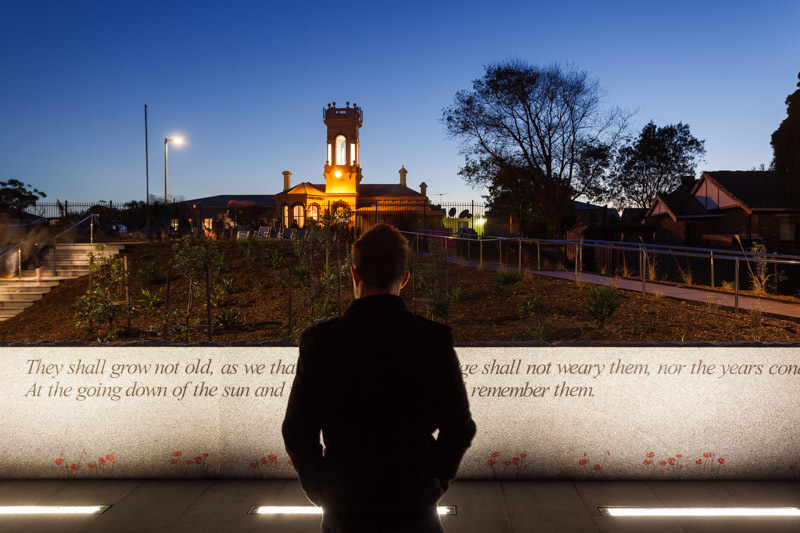 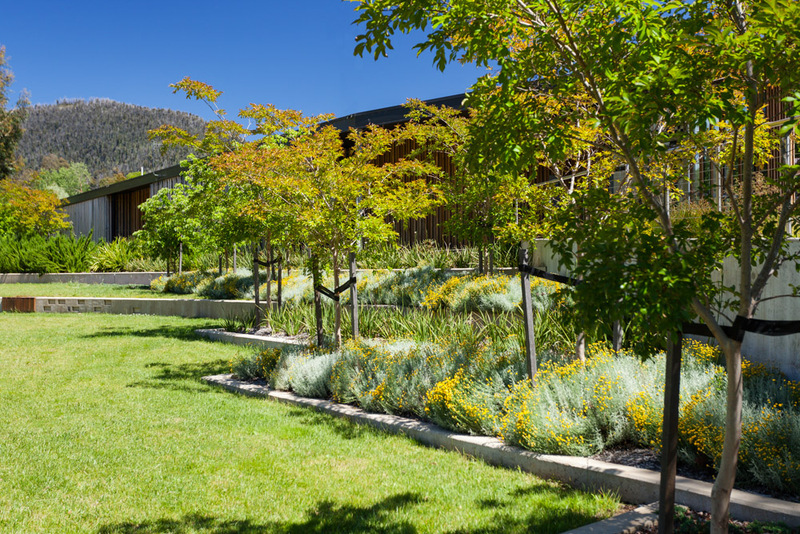 Yarra City Council and Urban Initiatives worked closely to include and integrate rain-gardens and other WSUD features in the design package while and environmental emphasis drove the relatively subtle, low energy lighting solutions.